7A MATH - We took up the homework sheets and did a brief review of material at the beginning of class. Students then wrote a Ratio, Rate, and Proportions quiz in class today. 7B MATH - We took up the homework sheets and did a brief review of material at the beginning of class. Students then wrote a Ratio, Rate, and Proportions quiz in class today. 7C MATH - We took up the homework sheets and did a brief review of material at the beginning of class. Students then wrote a Ratio, Rate, and Proportions quiz in class today. 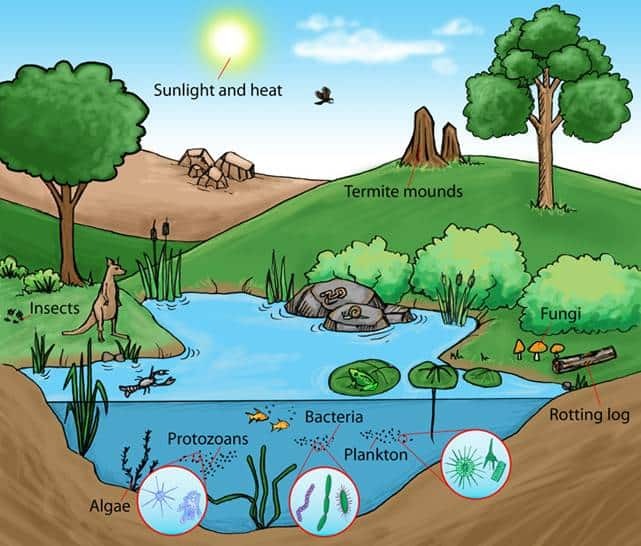 7C SCIENCE - Students were introduced to the roles of organisms in Ecosystems and they looked at how food chains and food webs interact with each other and the environment. 7B MATH - Students were introduced to working with percents. Our focus was converting fractions into percents and decimals. We then converted percents into decimals, fractions, and ratios. 7A MATH - Students were introduced to working with percents. Our focus was converting fractions into percents and decimals. We then converted percents into decimals, fractions, and ratios. 7C SCIENCE - We started correcting our worksheet on food chains. We watched a couple of videos about the interactions between living things and food webs. 7B MATH - We reviewed all of the material we covered yesterday. We watched a couple of videos about percents and how to convert fractions to percents. Students started applying concepts from class while starting worksheet 2.5. 7C MATH - We reviewed all of the material we covered yesterday. We watched a couple of videos about percents and how to convert fractions to percents. Students started applying concepts from class while starting worksheet 2.5. 7A MATH - We reviewed all of the material we covered yesterday. We watched a couple of videos about percents and how to convert fractions to percents. Students started applying concepts from class while starting worksheet 2.5. 7C MATH - As a class, we looked at how to convert between ratios, fractions, decimals, and percents. Students finished worksheet 2.6 with partners in class. 7A MATH - As a class, we looked at how to convert between ratios, fractions, decimals, and percents. Students finished worksheet 2.6 with partners in class. 7B MATH - As a class, we looked at how to convert between ratios, fractions, decimals, and percents. Students finished worksheet 2.6 with partners in class. 7C SCIENCE - Students finished worksheets 2.1 to 2.3 if any incomplete sections needed to be addressed. We reviewed food webs and the roles of organisms in them.